If you are an environmentally friendly business who focus on sustainability, or your corporate colours are green, then why not opt for the ‘Green Balls’ design. A simple yet functional design of three green baubles carefully situated on the end of a Christmas tree. A great design for a holistic based business as the colours convey nature, health and healing, which is ideal if this is your area of work. Baubles are one of many emblems of the Christmas season, used to adorn Christmas trees, and other festive decorations. Our simple yet functional design is clean and crisp, ideal for corporate use to send to customers or fellow business professionals. 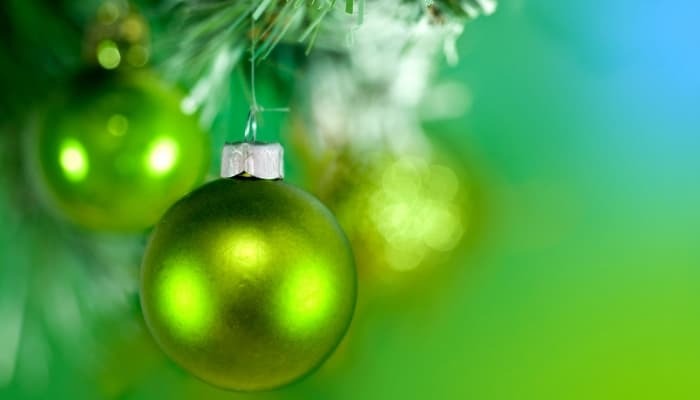 Additionally, green is one of the colours of Christmas, one which is representative of the Christmas tree or foliage such as holly, ivy and other leaves. One of the best ways in which you can communicate with your audience is through the use of corporate holiday ecards whether they are used to promote your business or advertise a festive event. The ‘Green Balls’ ecard would be great to post on social media or add to your LinkedIn profile as a way to send Christmas greetings to your current and potential clients. A professionally designed ecard or any other promotional material for that matter can have a significant impact on how your business is perceived. Why not send your ecard today and start customising your design. You can even add in your own company branding and a unique message for the recipient. So there you have it, plenty of proof that we are the leading Christmas ecards for business.